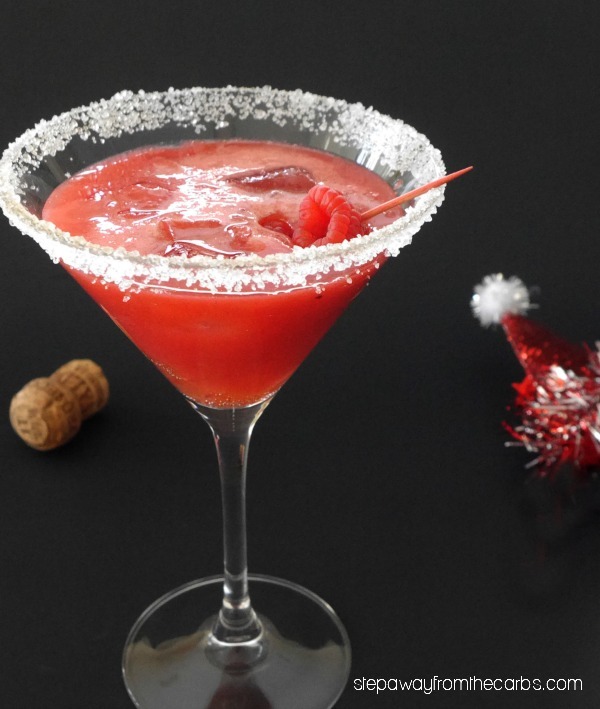 Enjoy a sugar-free fruity treat this festive season with my low carb Santa cocktail recipe! Oh how I love Christmas! And cocktails! So what could be better than a Santa cocktail?!? 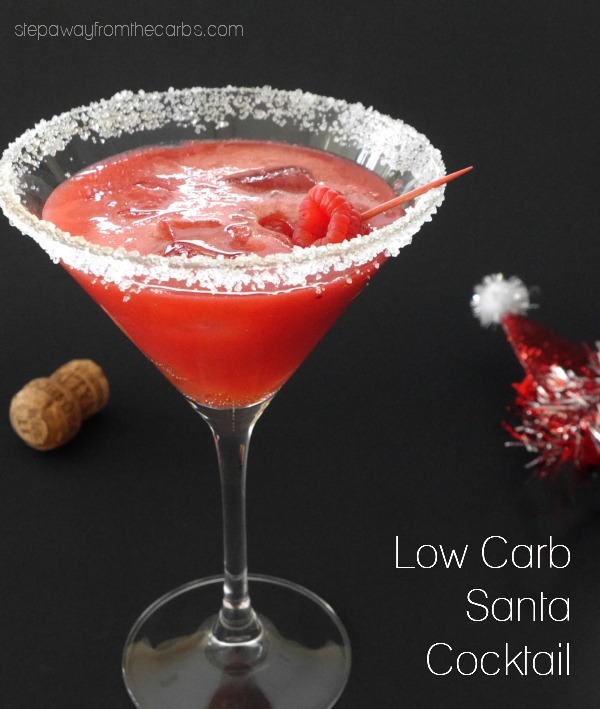 A low carb Santa cocktail!! This recipe does have a few stages – mainly to prepare the raspberry base, but it can all be done in advance and then quickly assembled whenever you’re ready to enjoy this fruity treat! 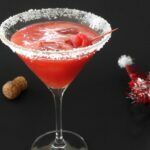 Oh and if you’re in the mood for festive cocktails, you could also try my Low Carb Chocolate Peppermint Cocktail! Add fresh raspberries, water, and low carb sweetener to a small saucepan (you may like to reserve a few raspberries for garnishing later). Cook over a medium heat until the fruit breaks down. Let cool then blitz the mixture in a blender or similar (I use the handy attachment on my stick blender!) until smooth. Then push it through a sieve to remove any seeds. This may feel like a lot of work but the end result will be worth it! And as I mentioned, you can do all this preparation ahead of time. To garnish the glass, wipe a little liquid sweetener around the rim of each glass (I use martini glasses! ), then dip it into a sweetener that you like the taste of – I use xylitol. 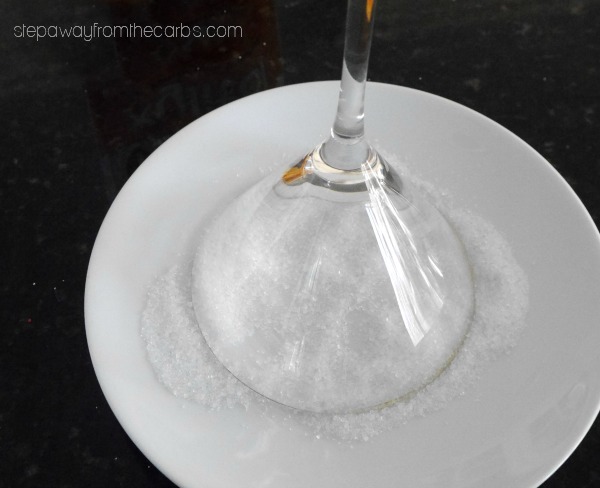 Just pour some sweetener onto a plate, invert the glass and dip it in! To make the cocktail, add the raspberry mixture, gin, and ice to a cocktail shaker and shake well. Divide the mixture between two glasses, then top up with Prosecco. Add a garnish of fresh raspberries if you like! 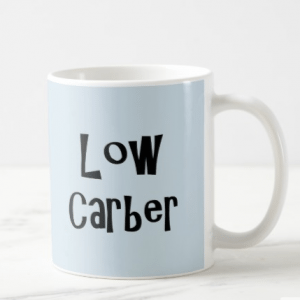 Note: The carb count is quite tricky to work out for this drink because the raspberry seeds have been removed, which makes up much of the raspberry’s carbohydrates. 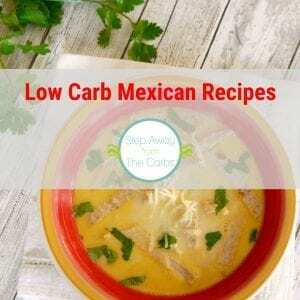 But i have given my best estimate in the recipe card below! 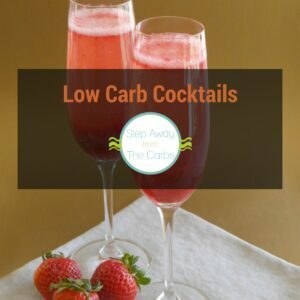 A low carb festive cocktail for you to enjoy! Add raspberries, water, and sweetener to a small saucepan. Cook over a medium heat until the fruit breaks down. Let cool then blitz the mixture in a blender or similar until smooth. Then push it through a sieve to remove any seeds. To garnish the glasses, wipe a little liquid sweetener around the rim of each glass. Pour some xylitol onto a plate, invert the glass and dip it in. Divide the mixture between two glasses, then top up with Prosecco. Add a garnish of fresh raspberries if you like. Cheers to Santa and this awesome-looking cocktail!! Sounds delicious! I always like drinks with fresh fruit in them! Mmmmmm. Prosecco, Gin and Raspberries? I’m in! This sounds delicious. Thanks for the recipe. I love cocktails with raspberries. This looks so festive and delicious!